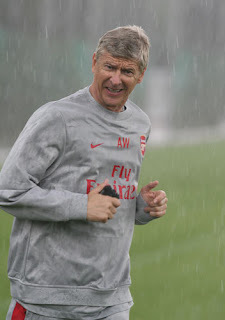 Pre season training began under heavy rain but Arsene Wenger, with timer and whistle in hand, still put all the boys through their steps with the usual precision that characterises all his sessions. Players that were involved in games for their national squads have been given time off of course. These include among others Gibbs, Walcott and Fabregas. 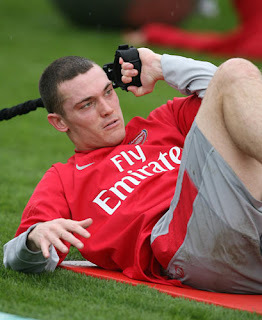 Thomas Vermaelen we all hope will be the answer to Arsenal’s defensive needs. The two others are like new signings to me. 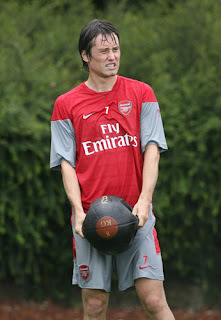 I am very pleased to see the much maligned Tomas Rosicky back with the first team squad. What a tremendous boost this is to him (and to us), having been out of action and nowhere near the training pitch for a whole year and a half! The other “signing” is Eduardo. He did come back towards the tail end of last season but had to cut that short with more niggling injuries. He looks refreshed in the photo. I have a feeling that all will go well this coming season….. It really is great to see the lads back in training, really makes me excited about the new season. At the end of last season we were without.. Which is just under half a full team. I have no doubt that we will win the league next season if we can avoid ridiculous amounts of injuries to key players. 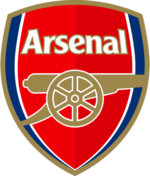 COME ON THE MIGHTY ARSENAL! 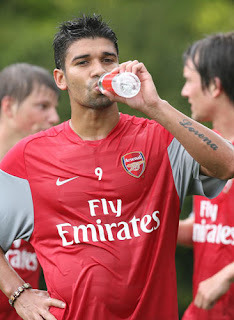 Denilson isnt good enough.theres no place in the current squad for him.not even on the bench. "what about the picture of m blaise training at arsenal today"
I think Anonymous is referring to blaise matuidi of st. Etienne but I fear he's confusing him with youth team stopper Kyle Bartley. Blaise Matuidi isn't in any of the pics. Kyle Brtleys a giant... same size as Senderos? anyone else think that educardo look s like he´s got a bit of a belly on him at the moment? stats prove we create less without him in our team! he isnt a dm, he was played there last year because of flamini going. he plays a simular role as cesc. who wants a captain who want to leave the club! but a real Gooner as Captain! RVP FOR CAPTAIN! and i think Diaby will be our DM because hes can actually be bothered to train and improve. we didnt get numbers behind the ball, our players are lazy! more movement, the title is ours easily! ^ Moron. That is all. ^chief moron. that is sam. cesc is the heart of this team. denilson is at best his understudy. this is one great ...optimistic post dude....really wud be praying that tomas plays this season....fingers crossed...and melo was never our kind of player...we need someone whos experienced...not anyone who has one season of fame...cana wud be great...has a pedigree in europe..
Has no one picked up on this? where the likes of Eboue, Toure and Adebayor are? Also Ramsey and Song no mention or pictures of any of them. anyone know the height of Vermaelen? wikipedia says he's 181 cm or somthing, but he doesn't look too short of senderos who is 191 cm...I recon the Verminator is closer to 185 cm, any thoughts? how about using Vermaelen as a DM, you know what wenger is like in putting people in different positions? I am very, very encouraged seeing these photos. As they say: a picture is worth a thousand words. Apart from injuries, our club is different from others like Chelsea in that the majority of our players are 20-30% better than the start of last season - that is the equivalent of signing new players. Is it just me or is anyone else seriously worried about another season with Alumunia behind the sticks. We have great outfield options but no number 1. I just hope Fabianski can step up and claim the top spot. i have a feeling senderos might stay. wenger usually get rid of players not in his first team plan before pre season begin. so adebayor could stay as well. i just hope he can get his head right and play better this season. i like the first picture, i hope that striker who looks as tall as thierry will become our top marksman. I heard his name is Anthony Wilson and he is quality!!! Our defenders are doing mistakes at the key time of the game.for example against man city in second half right from the start we played well.but after hitting the first goal(a superb one)clichy,song,sagna loose the position and which are converted in to goals.our defenders,full backs have to do their job(defence)well.instead of defending they are concentrating on the attack.which leads to the opponents to hit the goals very easily.and almunia should be improved.and ofcourse injuries are our main problems.i hope this season we will get a title and which will be continued. It's awesome to pay a visit this web site and reading the views of all friends about this article, while I am also zealous of getting familiarity. My sis instructed me about your web site and how great it is. She’s proper, I'm actually impressed with the writing and slick design. It seems to me you’re just scratching the surface in terms of what you possibly can accomplish, but you’re off to an amazing start!